STORE FRONT: The Disappearing Face of New York, a set by James and Karla Murray Photography on Flickr. Can you spot the East Harlem storefronts? (Albeit long gone.) Bet some of you can! Have fun! A Rainy Day in Vintage East Harlem-Another Great Find! A window into East Harlem history, through vintage photos. 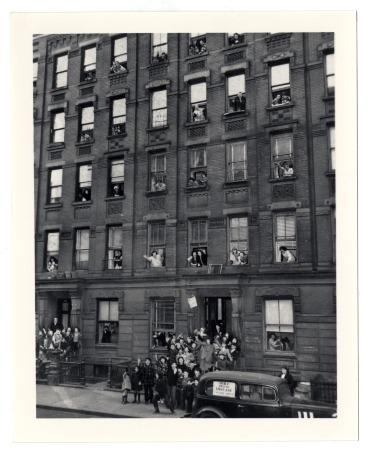 East Harlem, 1948- Sanitation campaign winning block: E. 114th St. This photo is one of many, digitized by the Historical Society of Pennsylvania. It is part of Leonard Covello’s archive. The building’s address is 233 East 114th Street. The date this photo was taken was December 10th, 1948.